When you need indoor comfort, you need Arctic Comfort Air Conditioning & Heating in your home or business. If, your air conditioner or heater is broken, needs repair, service or replaced, call us on our Comfort Line any time, any day, 972-530-8384. 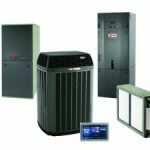 Over 29 Years of specializing in residential air conditioning and heating repairs, service, equipment sales and installations, maintenance, air conditioning and heating tune-ups, cleanings, maintenance contracts, summer and winter check ups, thermostats, indoor air quality, air filters, air filtering systems, UV, UV lamps, duct, duct systems, duct repair. Carbon monoxide testing and carbon monoxide alarms and much more. Serving homes and business in: Addison, Allen, Carrollton, The Colony, Coppell, Dallas, Fairview, Forney, Frisco, Garland, Lewisville, Mckinney, Mesquite, Murphy, Parker, Plano, Richardson, Rockwall, Rowlett, Sachse, Murphy, Wylie TX. See our Coupon Page for Savings on Heating or AC Inspections, Cooling Repairs, Heating and Air Conditioning System Replacements. Flat Rate Pricing, you’ll know the price up front. $99.00 ea. unit Pre-Season Safety & Efficiency Inspection for your Air Conditioning Unit. See our coupon page to get $40.00 Off. Military and Seniors get 10% Off Heating or AC Repairs. Free Quotes on replacement Air Conditioning & Heating Equipment and Systems. Get up to $2,300 in Air Conditioning & Heating Replacement & Installation Assistance – Call us for details at 972-530-8384. 10 Year Manufacturer Warranty on all our professionally installed Heating and Air Conditioning Equipment. Extended Warranties Available. Other air conditioning assistance may be available, call us 972-530-8384 for more information or check out the special offers tab. Heating and air conditioning repair and service for your home and business is available any time, any day, call 972-530-8384. 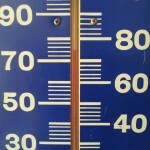 IMPORTANT: If your heating unit or air conditioner is not working properly, TURN IT OFF. Continuing to operate an air conditioner or heating unit that is not working properly can create more damage. After you have turned your air conditioning or heating unit off, call us, Any Time, Any Day at 972-530-8384. We’re family owned and operated. Our family to your family. You’ll have the same family tech in your home every time, he’ll know you, your home and your air conditioning and heating system, as well as have a brief service and repair history on your homes air conditioning and heating equipment. We care, you can count on our service any time, any day, every season of the year. Summer cool, winter warm. We have an Air Conditioning and Heating System for every budget, every home. 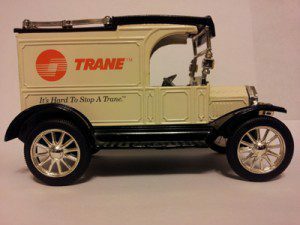 For over 29 years Trane has been our primary line of Air Conditioning & Heating Equipment & Systems. We provide professional installation for all equipment and systems we sell. For a free quote to replace your air conditioner or heating system, call 972-530-8384 to schedule your appointment today. Whether you need your air conditioner repaired, your heater serviced or need to replace your present heating and air conditioning system, CALL US, ANY TIME, ANY DAY at 972-530-8384. We’re not comfortable till you are. Our goal is to exceed your expectations. If, something isn’t right, please let us know. We will make every effort to provide you with the highest standard in service.